Artificial Intelligence has always had a huge dedication in Hollywood Sci-fi releases since as early as 2001: A Space Odyssey (1968). 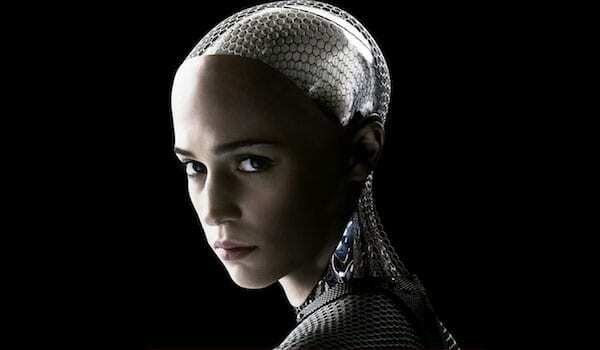 Here we explore 10 upcoming movies this year that have components of intelligent robots and artificial intelligence. Two years on from their storming Ex Machina, Alex Garland and Oscar Isaac are back with the story of a biologist (Natalie Portman) who signs up for “a dangerous, secret expedition where the laws of nature don’t apply”. Jennifer Jason Leigh is a – we’re assuming – slightly unhelpful psychologist. Anon is an upcoming science fiction thriller film directed and written by Andrew Niccol. The film stars Clive Owen and Amanda Seyfried. Set in a Soviet-style future where the government is trying to fight crime by eliminating privacy, that means, anything you do or say is totally illegal, thus creating total censorship. A police officer named, Sal Frieland (Clive Owen), is a tough cop who is doing his best to fight crime in his own city. The Major (Scarlett Johansson), a special ops, one-of-a-kind human-cyborg hybrid, leads an elite task force known as Section 9. Devoted to stopping the most dangerous criminals and extremists, Section 9 is faced with an enemy whose singular goal is to wipe out Hanka Robotic’s advancements in cyber technology. The last survivor on earth, a young girl, is protected by a group of robots from a pack of zombies that are intelligent and evolved. Still in production and release date to be announced. Mute is an upcoming British science fiction mystery film directed by Duncan Jones, who also co-wrote the script with Michael Robert Johnson and Damon Peoples. Alice continues her battle against The Umbrella Corporation’s AI system The Red Queen with help from a group of bad-asses including her daughter, Becky. Their epic battle will lead them back to where it all began in the dark mansion built by Umbrella founder Lord Ozwell E. Spencer and the deep underground research and development center known as The Hive, where The Red Queen plots total destruction of the human race. Having left Earth in search of the Creators, Optimus Prime returns. Two worlds collide but only one will survive.